This letter describes how they lost one of their main dormitories at the Foundation school to a fire. They ask for donations to help rebuild the dorm. 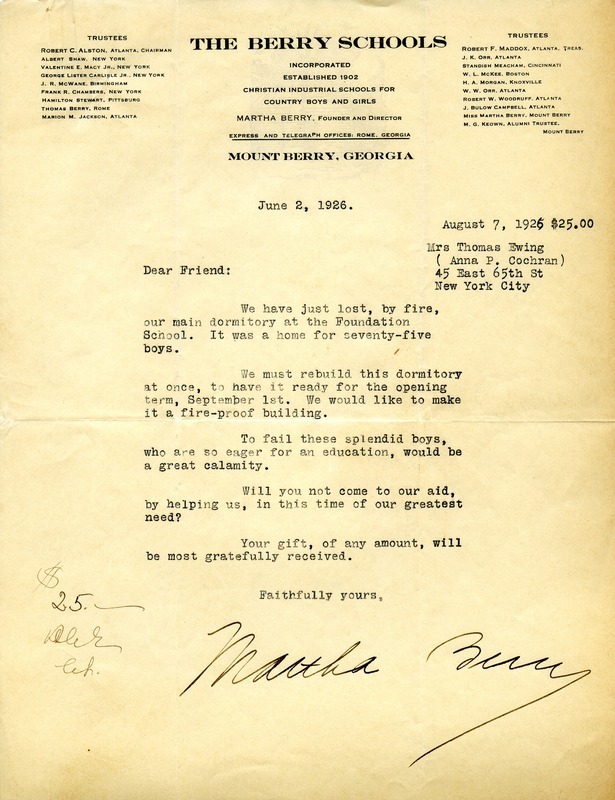 Miss Martha Berry, “Letter to Friend from Miss Martha Berry.” Martha Berry Digital Archive. Eds. Schlitz, Stephanie A., Mackenzie Liberta, et al. Mount Berry: Berry College, 2012. accessed April 19, 2019, https://mbda.berry.edu/items/show/2086.